Will gamers fork over £44.99 to buy the new controller? 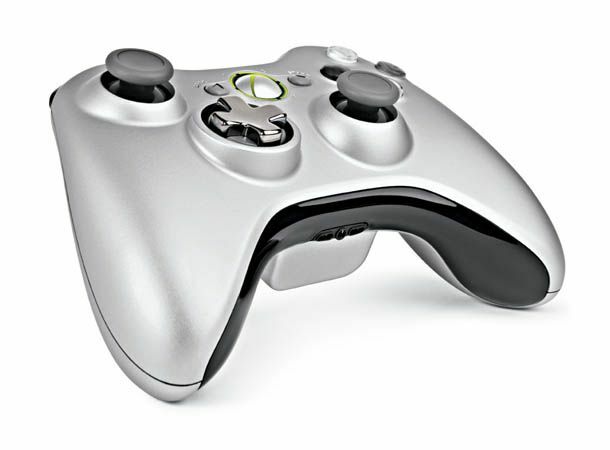 Microsoft has slapped a price tag and release date on its new silver Xbox 360 controller. The silver controller is already available in the US, with an expected landing on Blighty shores on 4 March 2011 for the price of £44.99. For that price, gamers will even get a Play and Charge add-on kit. It was announced back in August 2010 and features a D-pad (probably the most important feature in the new controller), which offers accurate control and can be the standard 'plus' or disc. It's also designed so as to be best suited for fighting games, and the new d-pad allows for easier usage. Other than the d-pad, the changes seem cosmetic, with the sleek silver look highlighting the difference. Would you be buying the new silver controller and is the price worth it? Let us know at T3's Twitter and Facebook feeds and follow us for the latest news in the world of tech.